The series congotronics became a household name thanks to bands like Konono N°1. The mix of traditional music with electronics worked so contagious that more bands appeared in the lime lights. 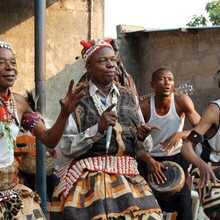 So did these these Kasai Allstars, a 15-pronged super group that unites different types of Congolese street music. Their 2014 Beware The Fetish album ended up in countless end-year lists. With 'Félicité' - the soundtrack of the same-name film - the collective is completely back. Live, the band guarantees a blissful musical trip where past and future come together. For an hour you will think you are in a sweaty nightclub in Kinshasa. The Kasai transcends cultural barriers and creates a totally unique sound. Traditional Kasai instruments like the xylophone and likembés-thumb pianos- are central, but then electrically reinforced. 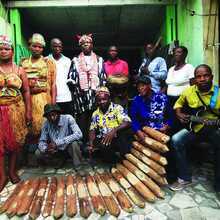 The extensive and complex percussion, fuzzy soukous guitars and traditional ritualistic vocals provide a deep pulsating, irresistible groove. 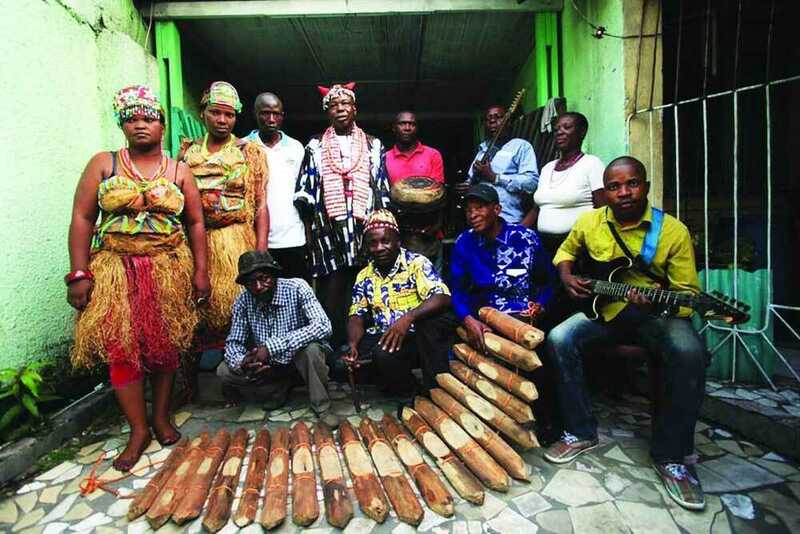 Their music was suppressed and worn for years, first by the European settlers and more recently by the influential Congolese evangelistic preachers. They label their own traditions as satanic and try to ban them officially. In Europe and USA, Kasai Allstars's music was featured through the Congotronics series, featured on the Brussels Crammed label. They were part of the 2011 Congotronics vs Rockers project, a live super group with members of Konono N ° 1, Animal Collective, Deerhoof and Juana Molina. Now there is therefore 'Félicité': no official Kasai Allstars record, but the soundtrack of the same-name film. For 'Félicité', French-Senegalese film director Alain Gomis inspired the life of Kasai singer Muambuyi. She was to play the leading role, together with the Allstars. The film was good for the Silver Bear at the Berlin Film Festival. The soundtrack consists mainly of Kasai jams, complemented with orchestral work by composer Arvo Pärt - performed by Kinshasa Symphonic Orchestra. Add a few remixes of good people like High Wolf, Clap! Clap !, Daedelus and Africaine 808 and the result is a a great catchy record. Nkisi, brand new music resident in Vooruit arranges the supporting programme. Last season she made an unforgettable impression during Courtisane, with her defiant high-speed beats. Nkisi is the alias of Leuvens-Congolese Melika Ngombe Kolongo. In London, where she lives, Kolongo constructed the renowned and politically committed NON Records label. Her ethos and music are penetrated by an anti-conformist punk spirit and question the spiritual status quo in politics and on the dance floor. NON Records focusses on cutting edge electronics artists from Africa and the African diaspora and is one of the most interesting electronics labels of this moment. Nkisi resummates her label like this: "NON Records is a collective of African artists and of the diaspora, using sound as their primary media, to articulate the visible and invisible structures that create binaries in society, and in turn distribute power." Vooruit offers Melika a platform to support that process in the coming years.